Writing something down has always made it seem more real to me. There it is in my own handwriting, showing me its shape and edges, rather than floating nebulously inside my head where I can’t quite grasp it. 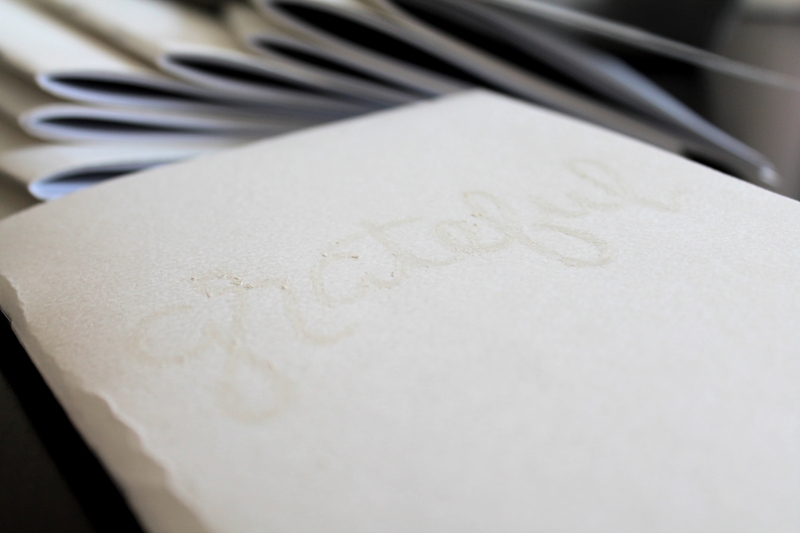 I really encourage you to write down your grateful thoughts with me this month! I always feel more excited to write when I can write in a pretty notebook, so I also want to share with you a craft that we did in my moms group. It is super easy, and the results are beautiful! You don’t have to have a background in watercolor painting in order to make a colorful splash mark. Start by putting the notebook together. Fold the papers in half and cut them to whatever size you like. We made booklets that were about 5”x7”. Staple the center of the pages together, along the crease. I admit that I used a long reach stapler for this! But you can make a standard size stapler work if you don’t mind folding the back pages in half to reach. Another option would be to actually sew the center seam, like a real book. More work, but very chic. Now, we paint! I made a little video tutorial of the painting process for you. I apologize for the awkwardness…I had to hang my phone from the chandelier above my kitchen table in order to get the right angle for filming. Hence the subtle camera shake. I’m not a videographer, friends. 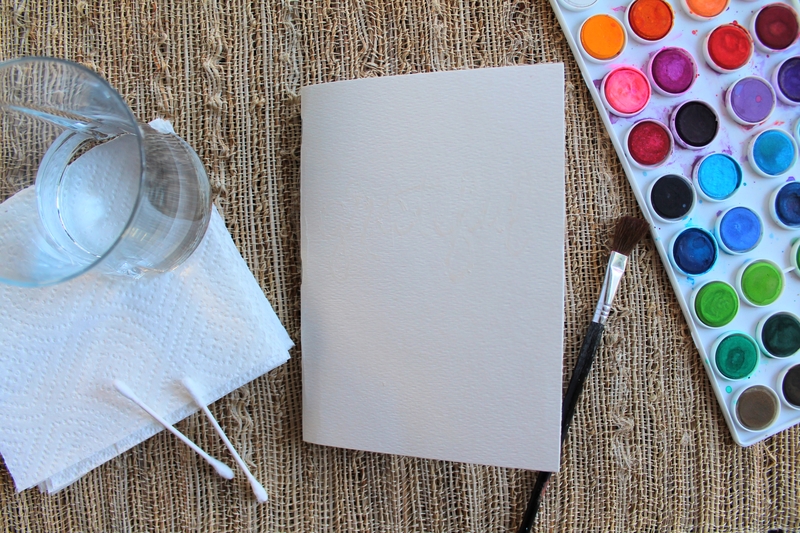 Get the paper fairly wet, covering the whole area where the white crayon word is, and a loose-edged space around it. You can tweak the shape later. In the video, since I was demonstrating with a very small brush, I used a wet paper towel to get the cover wet, which was a lot faster and more effective than trying to use the brush for wetting the paper. Swirl patches of color onto the wet area of the paper. 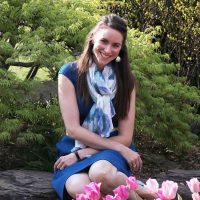 Use only two or three similar colors (complementary colors are a mistake! They will turn brown when they come in contact with each other). Add more color and more water until they start to touch each other and swirl together. Step back and consider, then make changes. If you need to add more paint in certain areas to make the color deeper, then do! If you need to add more water to make the color lighter or to encourage blending, then do! You can also introduce new colors, or add color within color…you do you. Don’t forget that this is the best time to change the shape of your splash mark, before things start to get too dry. Add splatters around the edges of the splash mark, if you like. Let it dry. 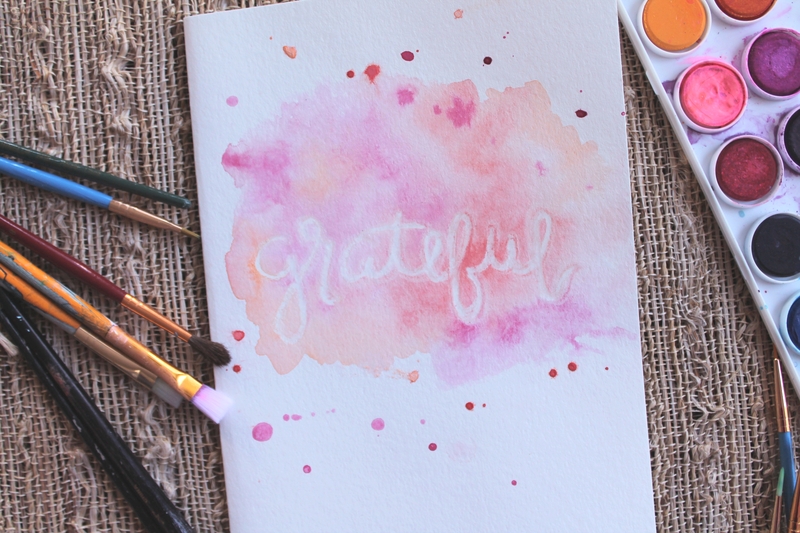 If the word grateful does not start to pop out, as mine did not in the video, then take your q-tip and carefully trace the letters to wipe off some of the paint that is sitting on top of the crayon. It takes about 30 minutes for most watercolor paint to dry well. If the front cover of your notebook ends up warped or buckled, then press it beneath a heavy book for several hours after it is completely dry. 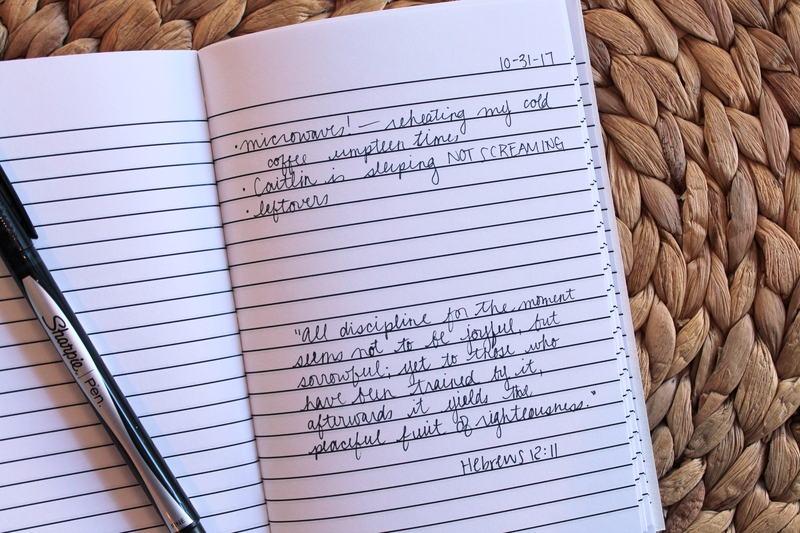 Now all that remains is for you to crack it open and write down all those wonderful blessings you notice as you go through your day! Wow, hung your phone from a chandelier! MacGuyver!